Happy 93 years young to our own Grand Mom Dot! 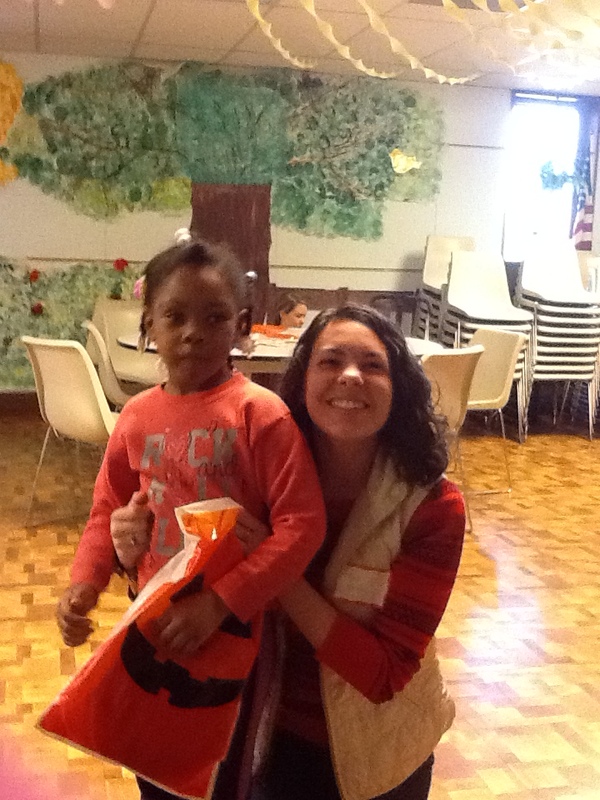 Grand Mom Dot is a feeding assistant in the Starfish classroom in the Philadelphia Yaffe Center. 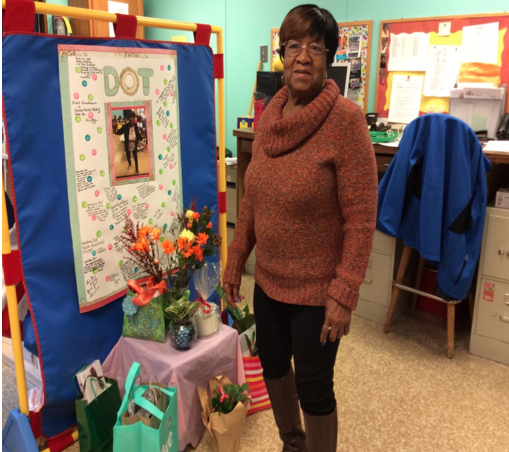 Grand Mom Dot began her association with Easter Seals in Philadelphia after her retirement over 30 years ago when she joined the Foster Grandparent program. Grand Mom Dot worked for many years at the Yaffe Center mostly with Miss Julie in the Crickets classroom. She was always the life of the party and really enjoyed her interactions with the children. Sadly, the foster grandparent program ended here and Grand Mom resumed her life as a retiree. She was restless in retirement and called Philadelphia one day to ask about volunteer opportunities at Easter Seals. Volunteer, you say? How about employment? And that is how she began her life as a feeding assistant in the Starfish classroom. We salute you and love you and look forward to a continuing relationship with the Starfish classroom. Happy Birthday Grand Mom Dot! This entry was posted in From the teacher, General info and tagged Easter Seals of SEPA, Easter Seals of Southeastern PA, Easter Seals of Southeastern Pennsylvania, feeding assistant, grand parent, volunteer on November 23, 2015 by Easterseals. Three students from St. Joseph’s University who are studying to be special education teachers volunteered to sponsor a fall activity with the students in Easter Seals Philadelphia Approved Private School. Using their knowledge of how some children’s limitations with fine motor skills, communication and behavior may impact the ability to access and participate in craft activities, they came well-prepared. The volunteers selected visually appealing craft ideas with models of the finished products. The crafts included easy-to-assemble pieces that were readily available for the students. 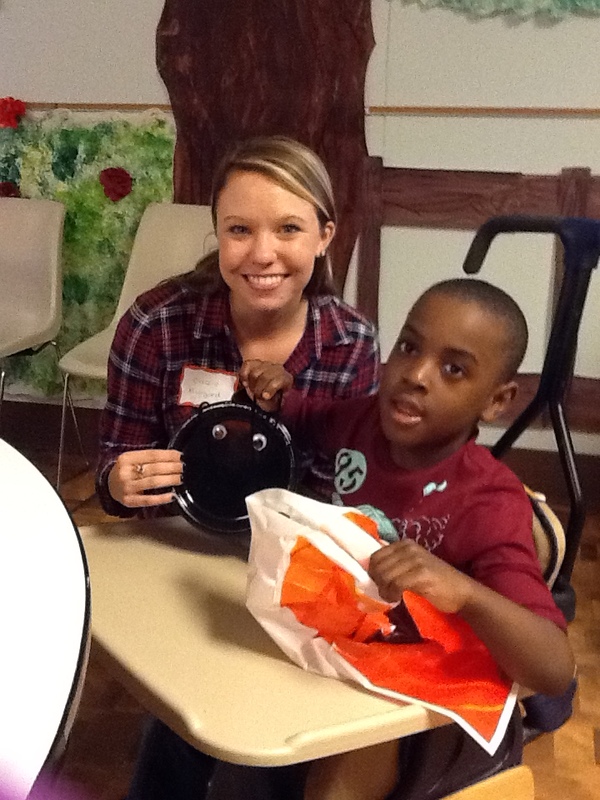 With the support of Easter Seals staff, the children received one-to-one assistance with the craft activities. They utilized their individualized means of making choices, indicating which pieces they wanted to use to personalize their creations. 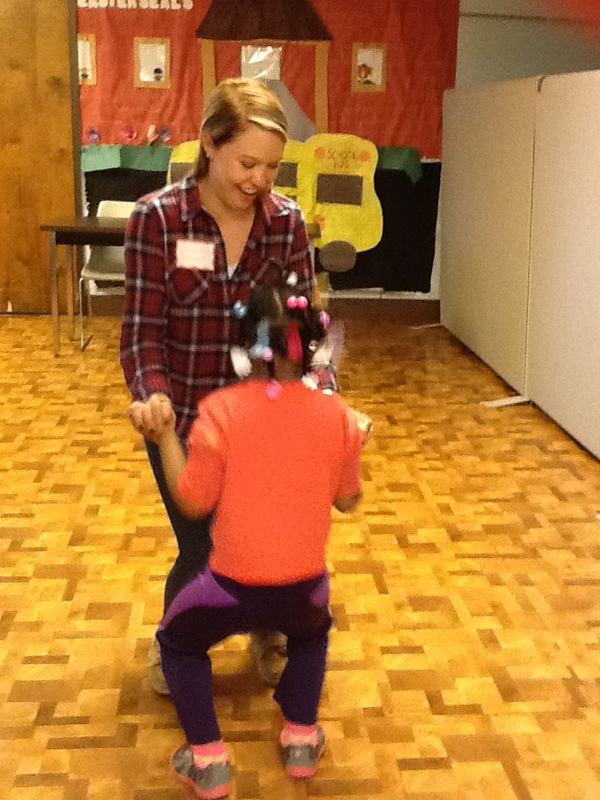 Students received various levels of assistance, some needed hand-over-hand support, while allowing them the opportunity to express their own individuality. When the projects were finished the volunteers had time to play and dance with some of the students before they left for the day. The students enjoyed their time with the volunteers, and this activity provided valuable experience for the budding teachers. 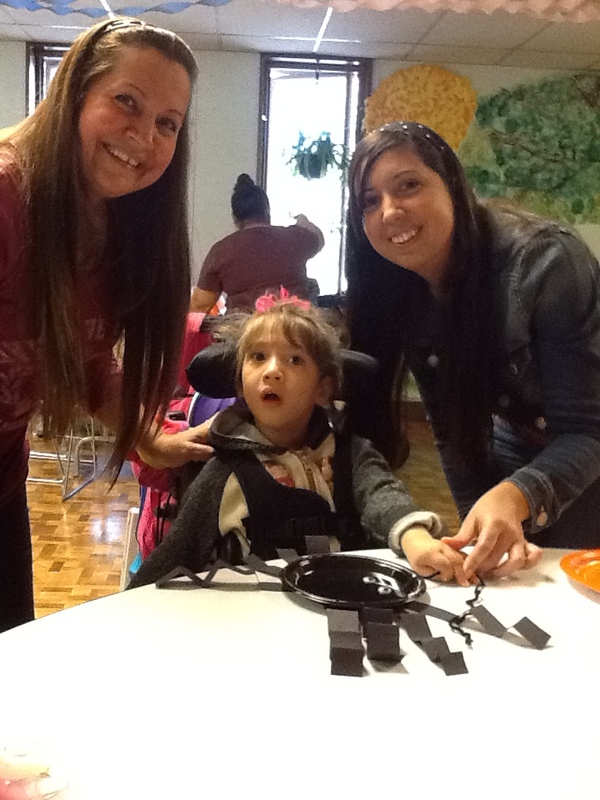 This entry was posted in From the teacher, General info and tagged Approved Private School, crafts, Easter Seals, Easter Seals of Southeastern Pennsylvania, St. Joseph's University, volunteer on November 16, 2015 by Easterseals. Samar Day-Williams (Sunrise 10/03/2009-Sunset 10/30/2015), a student in the Starfish classroom at the Yaffe Center passed away this week. Patricia Fitzmyer, his loving teacher had the following to say. Samar started preschool in September 2013 at our Delaware CO. campus. Samar lit up his classroom. He transferred to Philadelphia in September 2014 and became a member of the Starfish classroom. He had a sunny disposition and a big smile. 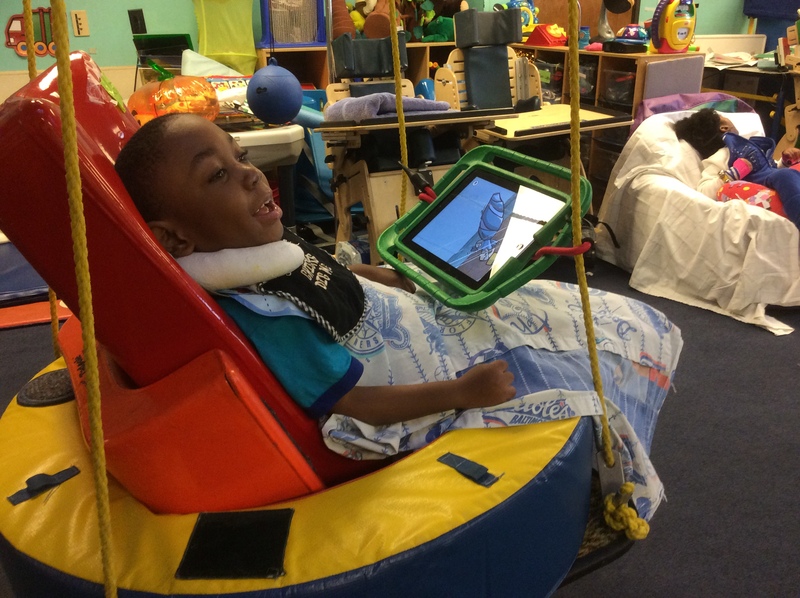 He loved the life of the classroom and enjoyed being handled by the classroom staff. 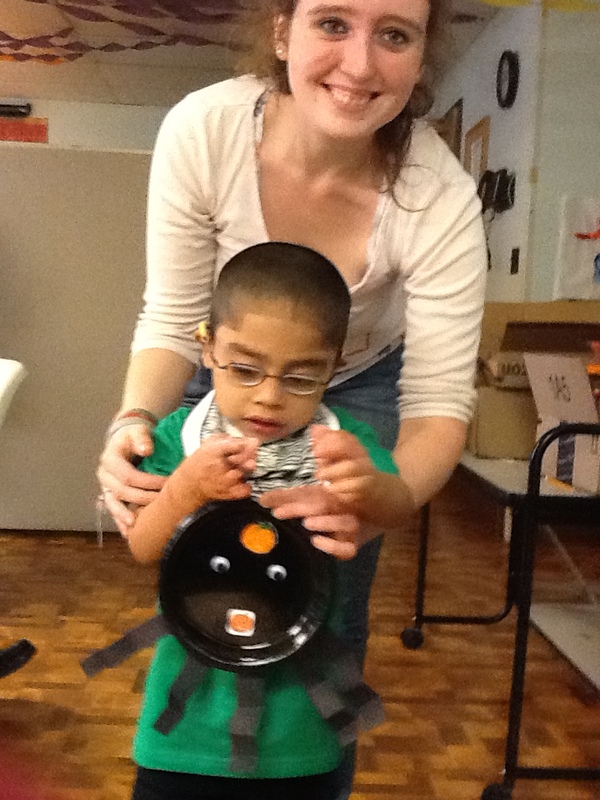 He loved circle and music time and used a switch to participate in activities. He liked to touch and feel different materials, especially if they were shiny and reflective. He loved books and being read to and would follow the pictures, especially when they were highlighted by a flashlight. He smiled and vocalized when he was in the platform swing and really enjoyed movement. He liked the vibration of the vibrio music massage chair. He will be missed by his classmates and all of his friends at Easter Seals. Samar’s family did not have a life insurance policy and are unable to meet the financial costs associated with his burial. In order to help his family meet his final expenses, a go-fund-me page has been created. Any donations that are made will be appreciated to help loved ones pay their respects and ensure that he is properly laid to rest. Please visit http://Gofundme.com/vq7rn3j8. This entry was posted in child stories and tagged Approved Private School, Easter Seals, Easter Seals of Southeastern Pennsylvania on November 6, 2015 by Easterseals.